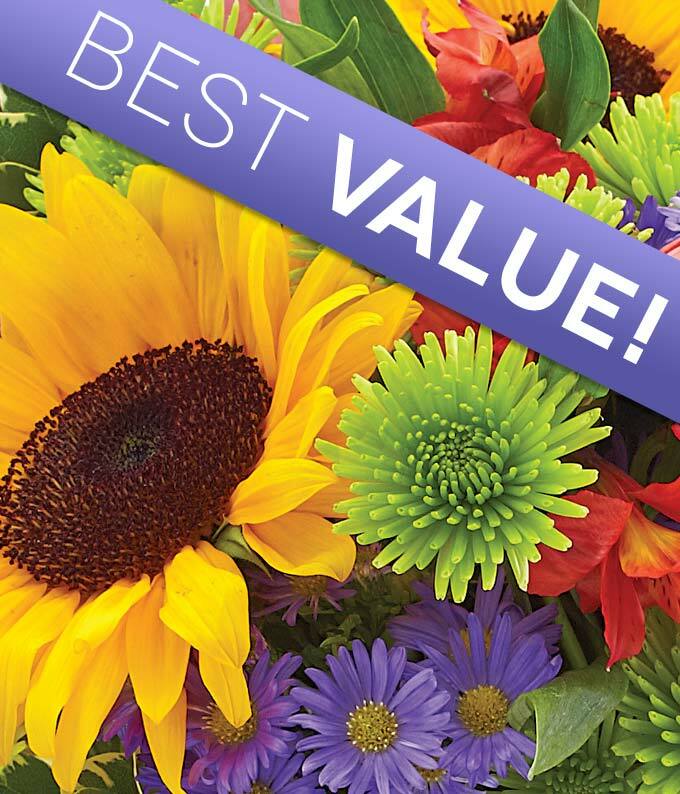 Celebrate a birthday with a florist designed flower arrangement delivered to impress. Hand arranged with fresh, seasonal flowers this birthday bouquet will bring a smile to your friend or family member's face. Available for delivery today. What are Florist Designed Bouquets?